This restaurant general manager sample job description can assist in your creating a job application that will attract job candidates who are qualified for the job. Feel free to revise this job description to meet your specific job duties and job requirements. Delivers revenues and profits by developing, marketing, financing, and providing appealing restaurant service; managing staff. 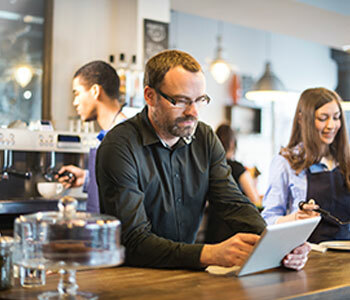 Establishes restaurant business plan by surveying restaurant demand; conferring with people in the community; identifying and evaluating competitors; preparing financial, marketing, and sales projections, analyses, and estimates. Meets restaurant financial objectives by developing financing; establishing banking relationships; preparing strategic and annual forecasts and budgets; analyzing variances; initiating corrective actions; establishing and monitoring financial controls; developing and implementing strategies to increase average meal checks. Attracts patrons by developing and implementing marketing, advertising, public and community relations programs; evaluating program results; identifying and tracking changing demands. Controls purchases and inventory by meeting with account manager; negotiating prices and contracts; developing preferred supplier lists; reviewing and evaluating usage reports; analyzing variances; taking corrective actions. Maintains operations by preparing policies and standard operating procedures; implementing production, productivity, quality, and patron-service standards; determining and implementing system improvements. Maintains patron satisfaction by monitoring, evaluating, and auditing food, beverage, and service offerings; initiating improvements; building relationships with preferred patrons. Accomplishes restaurant and bar human resource objectives by recruiting, selecting, orienting, training, assigning, scheduling, coaching, counseling, and disciplining management staff; communicating job expectations; planning, monitoring, appraising, and reviewing job contributions; planning and reviewing compensation actions; enforcing policies and procedures. Maintains safe, secure, and healthy facility environment by establishing, following, and enforcing sanitation standards and procedures; complying with health and legal regulations; maintaining security systems. Maintains professional and technical knowledge by tracking emerging trends in the restaurant industry; attending educational workshops; reviewing professional publications; establishing personal networks; benchmarking state-of-the-art practices; participating in professional societies. Job Seekers: Search Restaurant General Manager Jobs and apply on Monster now.